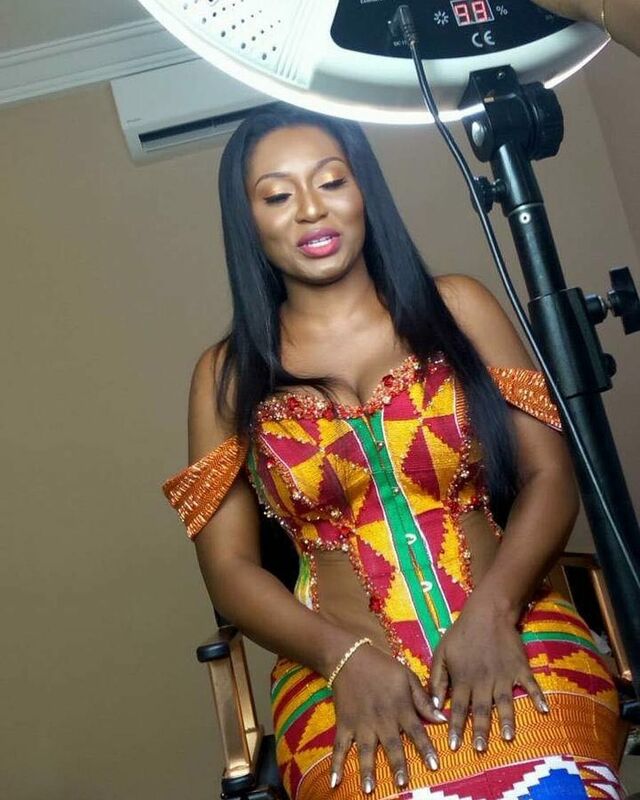 Popular Ghanian rapper, Michael Owusu Addo known on stage as Sarkodie, has reportedly carried out his traditional marital rights with his longtime girlfriend, Tracy. 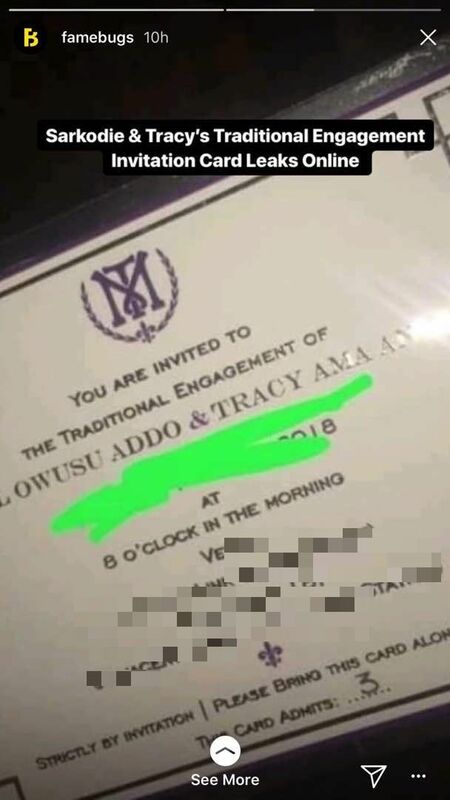 Earlier, a leaked traditional engagement invitation card hit the internet, which were just mere speculations that the couple were ready to make it official. 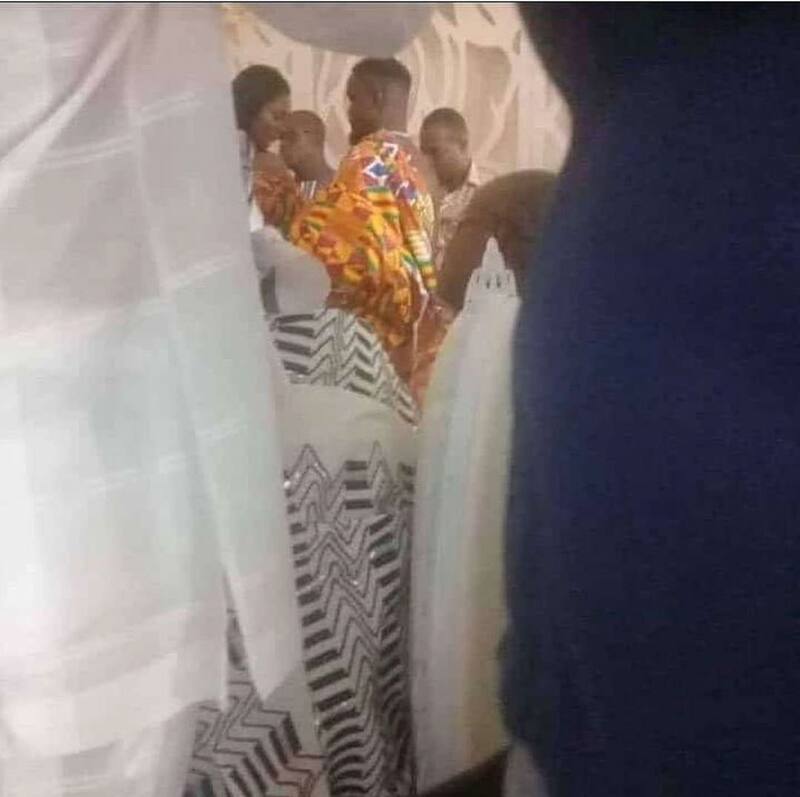 However it appears that the report might be true as leaked photos from the traditional marriage ceremony flooded Ghanaian online media platforms yesterday. In the viral photos, the couple are seen dressed in Kente attire. 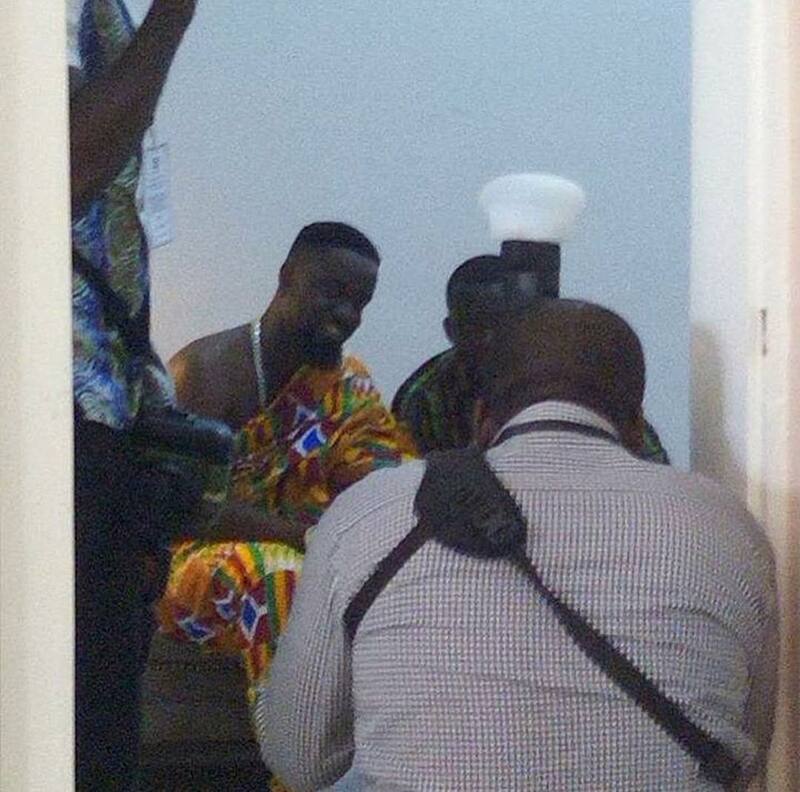 Sarkodie and Tracy have been together for more than 10 years now and they have a 2 year old daughter, Titi.